This café happens to be one of my favourites! 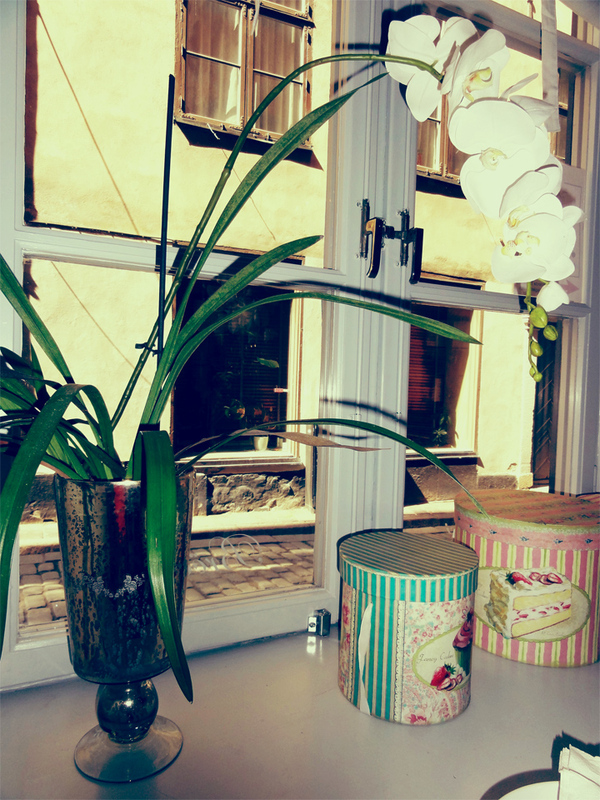 This adorable place is located in the heart of The Old Town. Since it is not placed on one of the most famous streets, the atmosphere and feeling around here is much calmer and more peaceful than in most restaurants and cafés in The Old Town. Under Kastanjen also got a small bakery where you can buy delicious bread and cookies. Price: Standard. 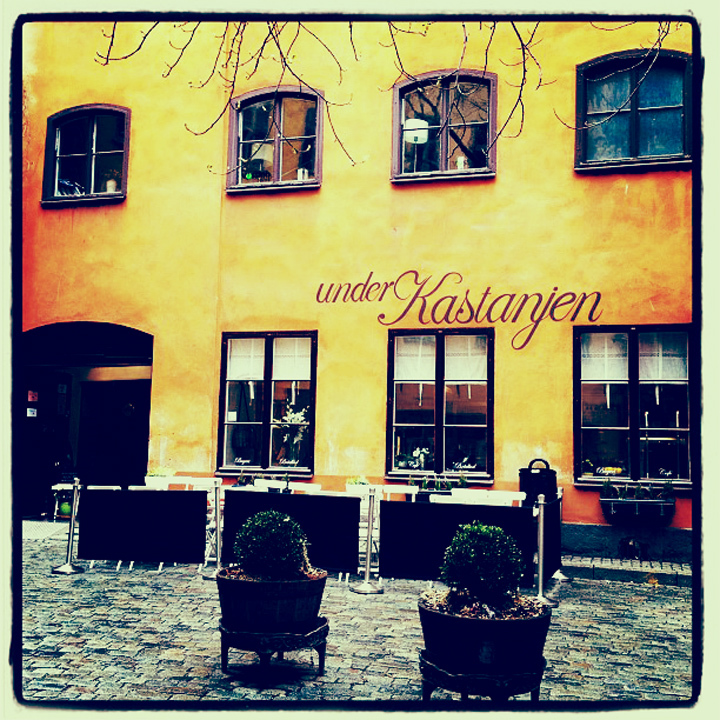 Lunch price – 80 SEK (bread, butter and coffee or tea included). Lunch of today was chicken salad or carrot soup. As you can see in the picture I choose the salad – which proved to be an excellent choice! 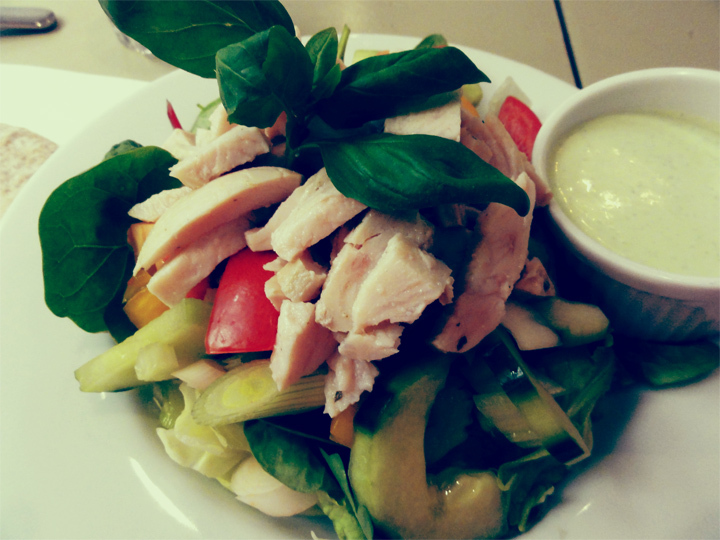 Fresh vegetables, tasteful dressing and well-cooked chicken. Lunch of the day – chicken salad with fresh vegetables. Normal coffee – 25 SEK (take away – 20 SEK). 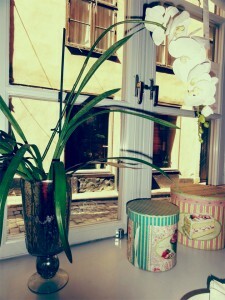 Hot chocolate – 40 SEK (take away – 35 SEK). You have also the opportunity to order sandwiches with, for instance, meatballs/beetroot salad, salami/brie or a classical cheese and ham sandwich (69 SEK each). (At the end of June the café will be open to 22).